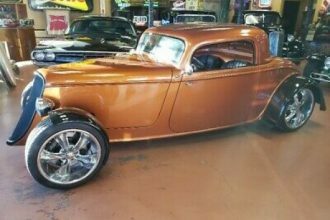 You are bidding on a 1930,s Ford Model A 2 Door . This car came from a estat there no title . 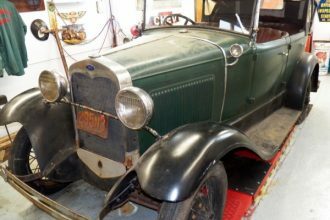 Looks to be be in great shap no rust .Has 8 cylinder engine & transmission. New exhaust & mufflers looks like some new brake lines ran, rear looks to be complete . 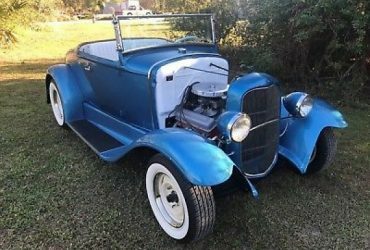 Body is great shap with blue & grey paint job. There is lots of parts as seen in pictures. I now nothing about cars so bid on what you see . If there question please ask and I will try to answer. 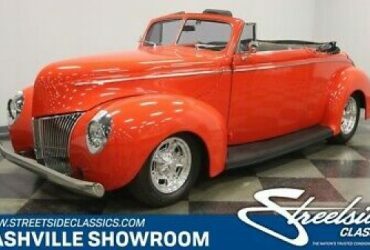 1940 Deluxe Convertible ALL STEEL BODY/FENDERS/RUNNING BOARDS, 383CI LT1, A/C, FORD 9″ REAR, MUCH MORE!